see also price charts and index listings. 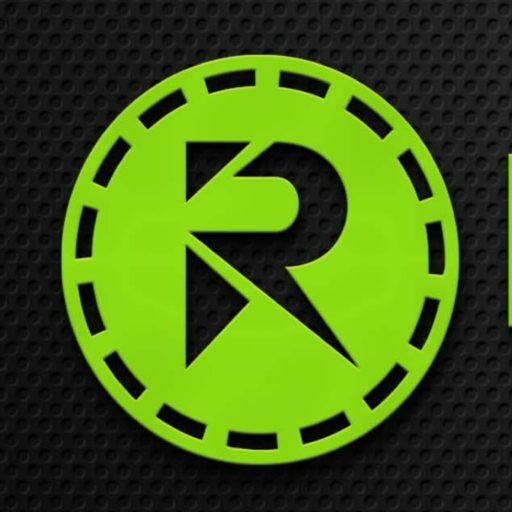 RiptideCoin is built on the lightning fast Ethereum Blockchain for safety and reliability. RIPT is tethered and tied to the price of ETH at a ratio of 70ript = 1eth at birth. This will be always driving riptide coin’s price in addition! Also, the more organic trades in exchanges can increase or decrease the price of RIPT but will only determine the fluctuation of the price up or down. Ethereum will always be the backbone of our currencies speed and reliability. RIPT is our version of Ethereum, a user-friendly adaption. Used for safe exchange in high-risk occupations instead of cash. The Coin itself can have multiparty uses including exchanging with others. The system is designed to provide accountable options for its transactions and could be traceable on programs like Quick Books bookkeeping software and others. The Riptide System and RiptideCoin can serve as the initiator of many exchange systems. Proposed for solving banking problems in a billion dollar industry which can in a general sense, make safer how people do business in high-risk occupations. Riptidecoin the future for MMJ cryptocurrency. Providing safe access to medical marijuana banking for public safety. Commerical and retail inventory tracking and checkout software for registered dispensaries. Click here to join the trade currently available on EtherDelta Exchange! Riptide SSTT System And RiptideCoin are public projects born from necessity. This project is filling the void in legal marijuana states that are missing safe business banking. It is a FinTech digital currency aimed at giving you all the keys to absolute control over your money. Let’s face it using your card at an atm to get cash is not always an option. With fast and secure transactions at much lower fees compared to banks and most existing cryptocurrencies out there, riptide coin is a fit solution while providing gains and earnings for its users. Riptide System itself exist in the beta phase and the RiptideCoin is a proof of concept for a community currency token designed for use in the Medical Marijuana industry. Thus solving the financial problem that all legal state registered MMJ business have with the traditional banking system. This has caused a major problem we want you to help us fix. No other industry worth billions per year is without safe access to FDIC banking. When completely understood RiptideCoin would be viewed as one of Ethereum’s user-friendly adaptions. Used for safe exchange in high-risk occupations instead of cash. The Coin itself can have multiparty uses including exchanging with others. The system is designed to provide accountable options for its transactions and could be traceable on programs like Quick Books bookkeeping software and others. The Riptide System and RiptideCoin can serve as the initiator of many exchange systems. Proposed for solving banking problems in a billion dollar industry which can in a general sense, make safer how people do business in high-risk occupations. Now less then 19-million remain available. With this limited amount, the current price of RIPT could still equate to the global volume of the legal Medical/recreational Marijuana industry sales on a yearly average with its price in the projected range. The limited number of remaining RiptideCoin will be available from us or on other listed exchanges including EtherDelta Exchange.